Delaware County is located in the south-eastern corner of the state, in the Piedmont Province. The Delaware River is the main drainage system which flows into the Delaware Bay. This location along the bay positioned it for development at a very early stage in the history of our Commonwealth. This relatively small county (184 sq. miles) is packed with 142 recorded archaeological sites in the Pennsylvania Archaeological Site Survey (PASS) files. 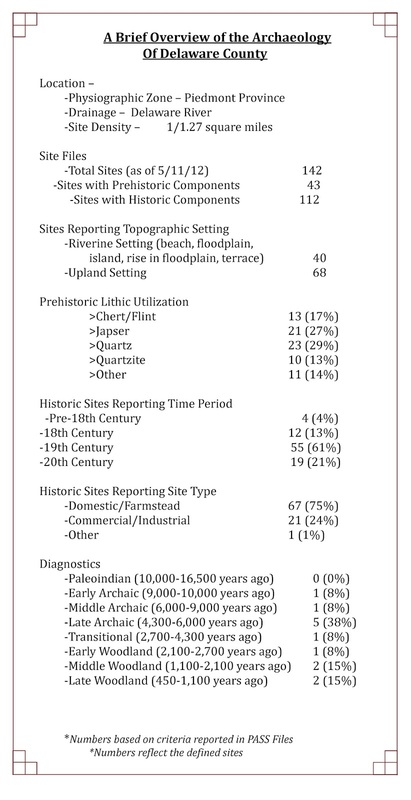 The majority of recorded sites, 78%, are reported components of the historic period. This is not to say that Native peoples didn’t occupy this region of the state, but the archaeological evidence has been more difficult to recover due, in part, to its early colonial development. The second factor to consider in the preservation of these sites is the Delaware River and the coastal floodplain environment. Of the forty-three sites recorded with a pre-historic component, forty are located in riverine settings consisting of floodplains, terraces, stream benches or rises. One of the earliest historic accounts of interaction with Native peoples comes with the settlement of New Sweden, Nya Sverige in 1638. Peter Minuit negotiated a treaty with five Lenape chiefs for lands along the Delaware River for which Minuit claimed control of approximately sixty-seven miles for Sweden. This exchange was but the first of many to follow and the beginning of European colonization in Pennsylvania. In 1643 Johan Printz was appointed Governor with the goals of expanding the colony and securing Swedish Lutheran as the official religion of the colony and increasing trade with the Lenape or Delaware Indians. Governor Printz’s mansion, Printzhof (36De3) was built on Tinicum Island at Essendon, Pennsylvania. It is described as a fortified state house and trading-post in use during the fur trade with the Lenape Indians. The Dutch, who had surveyed the Delaware River prior to the Swedes establishing a colony, gained control of the territory along the River in 1655 only to later surrender it to England in 1664. Excavations at the site of Printzhof in 1937 by Donald Cadzow of the Pennsylvania Historical Commission and the Works Progress Administration (WPA) produced pipe stems, iron cannon balls, ceramics, glass and yellow bricks. These artifacts and the foundations of structures erected at Printzhof were reflective of the daily lives of a people who had traveled to a virtually unkown “new world” determined to strengthen their homeland of Sweden. Cadzow’s excavation was prompted by the desire to mark this historic site and the 300th Anniversary of the settling of New Sweden. Subsequent archaeology conducted in the 1970’s by Dr. Marshall Becker revealed that Cadzow and crew had reset all of the foundation stones, but not in their original order. 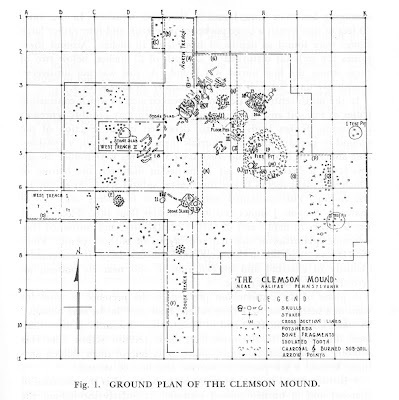 Photo documentation taken in 1937 aided archaeologists in interpreting the foundation and led Becker to conclude that Cadzow had located the original foundation of Printzhof. This house was destroyed by an accidental fire in 1645 and a second larger structure was reportedly built. Becker found foundation walls he interpreted as the foundations from both structures. The method of construction at Printzhof was recorded in historic documents and accounts for the quantity of yellow brick recovered at the site. Records indicate that 6,000 brick were sent on the “Fama” in 1644, the largest known shipment of this product to New Sweden. Traditional Swedish homes generally contained fireplaces and these brick may have been used in construction of a chimney. Additionally twenty-four pieces of glass were in this shipment and may have been used in construction but this has not been verified according to Becker. Swedish house structures typically had a entry hall in the center with timber construction, similar to that found in the oldest section of nearby Morton Homestead. Morton Homestead (36De5) was home to Morton Mortenson who remained in the area after the Dutch defeated Sweden in 1655. The reconstruction of this structure in 1938 coincided with the 300th Anniversary, but historians have questioned the accuracy of the reconstruction. The tight fitting log construction of Swedish homes described in 1679 by Jasper Danckaerts, a member of the Labadist religious sect exploring the area for a new settlement, is the best account available. Dackaerts describes a log house as follows ..." being nothing else than entire trees, split though the middle, or squared out of the rough, and placed in the form of a square, upon each other, as high as they wish to have the house; the ends of these timbers are let into each other, about a foot from the ends, half of one into half of the other. The whole structure is thus made, without a nail or a spike.” This tight construction led to a warm, secure structure. Inaccuracies of the reconstruction of Morton Homestead aside, the earliest foundation to the heritage of Delaware County can be directly attributed to the influence of Swedes, Finns and Dutch settlers in the 1600’s. Researchers continue to examine historical documents and the archaeological record to better understand the colonization of New Sweden and attempts by Sweden for expansion. 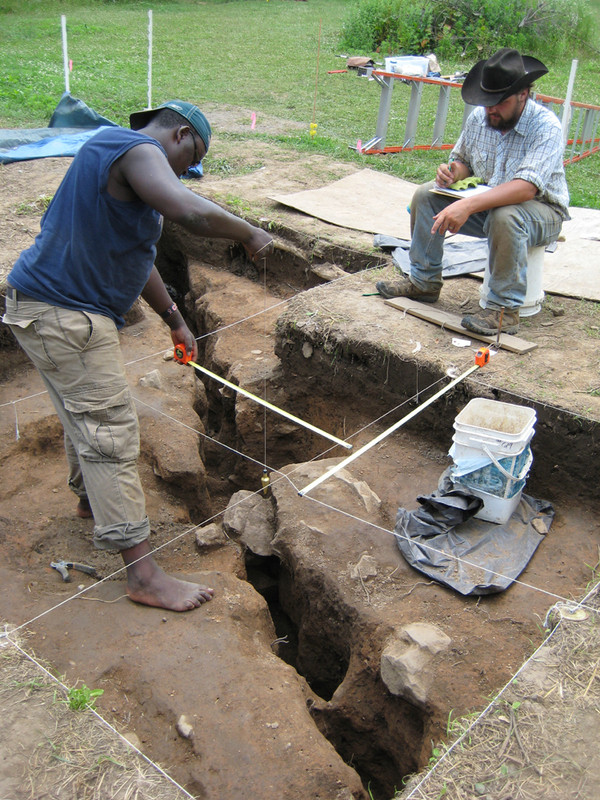 Additional research in the future may reveal more about these early colonists and their impact on colonization in Pennsylvania. Moving forward about a little over a hundred years we travel to Brandywine Battlefield (36De84), the site of a battle between American and British troops on September 11, 1777. British forces commanded by General William Howe, with General Charles Cornwallis, led approximately 8,500 troops to the scene to launch a surprise attack on General George Washington’s troops. 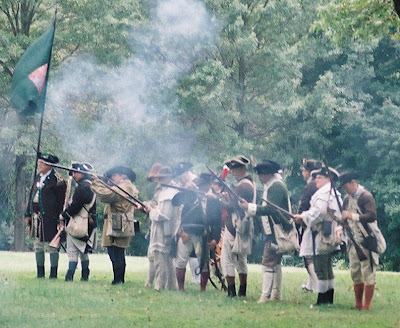 Hessian troops estimated at just over 7,000 marched across and up Brandywine Creek while Howe marched to the north attacking near present day Longwood Gardens. Washington had positioned troops on the Brandywine to defend Philadelphia. When the American troops, almost 15,000 men, were attacked on both sides by British forces, the troops were defeated and casualties numbered more than 1,000 men for Washington’s troops and slightly less for the British. British troops marched into Philadelphia on September 23, 1777. 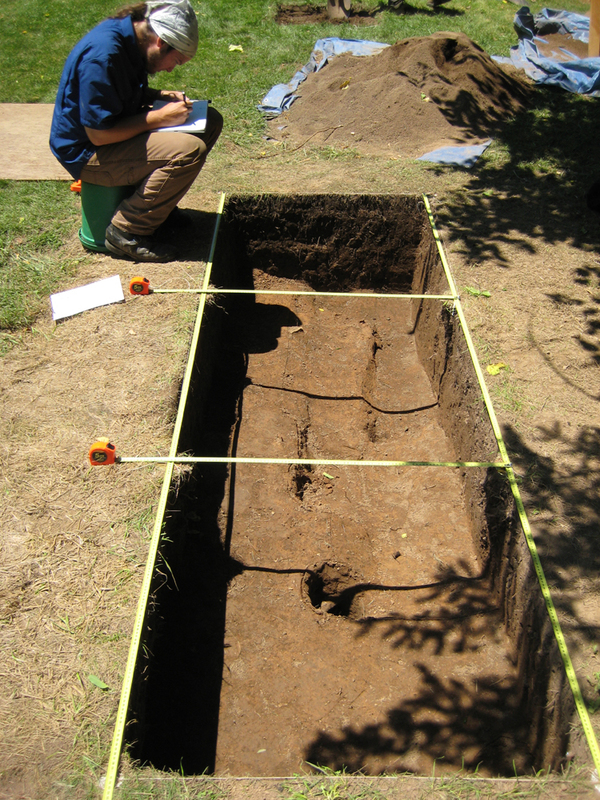 Excavations conducted at Brandywine Battlefield have produced little archaeological evidence of the battle. The Gideon Gilpin House located on the grounds of Brandywine Battlefield served as General Lafayettes headquarters after the battle. Gilpin was a Quaker farmer whose home and farm were damaged during the battle. This home has been carefully restored combining historical archaeology, document research, dendrochronology (tree ring dating) and architectural analysis and can be visited on the grounds of Brandywine Battlefield Park. 1979. The Printzhof: Identification of the seventeenth century residence of Swedish Colonial Governor, Johan Printz. Manuscript on file at The State Museum of Pennsylvania. 1987. A Report on the 1986 Excavations at the Printzhof Site (36De3): Operation 13. Manuscript on file at The State Museum of Pennsylvania. 2002. 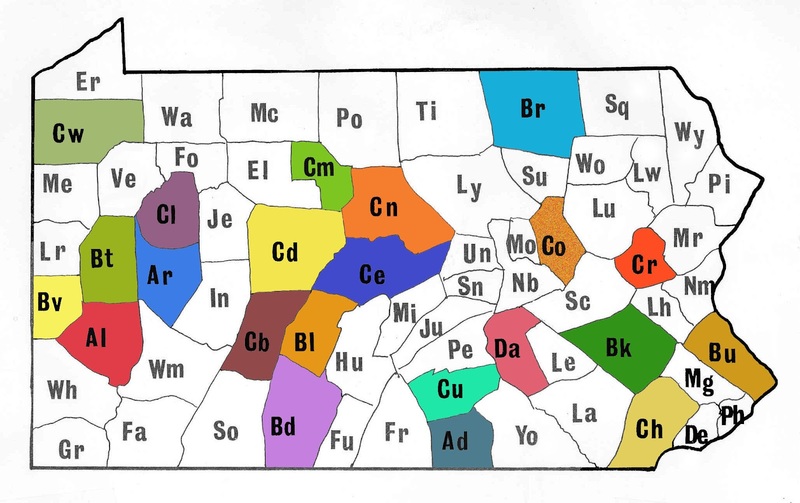 “Encounter and Experiment.” Pennsylvania: A History of the Commonwealth. Edited by Randall M. Miller and William Pencak. University Park, Pennsylvania, Penn State Press. 2011. Paper presented at New Netherland Institute's South River Conference in Newark, Delaware, September 2011. We are going to interrupt our blog by county theme this week with a short announcement concerning a major threat to the archaeological resources of the Washington Boro area in Lancaster County and specifically the Washington Boro Susquehannock site and its associated cemeteries. Earlier this month, an article appeared in a Lancaster paper, that the Safe Harbor Power Company was “quietly” selling land containing some of the most significant archeological sites in the country. Selling what were essentially the front yards of the great Indian settlement of Washington Boro and its burial grounds. Caught off guard, conservation groups have scrambled to respond. Unfortunately, the problem has yet to be resolved and the land sales may continue. We are very concerned and may need your help. 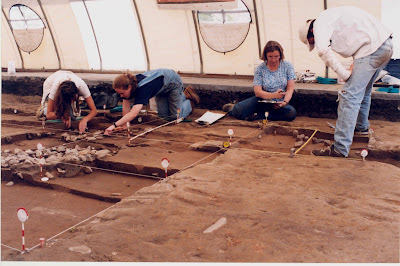 In the paragraphs below, we present a short overview of the archaeology of Washington Boro and its significance to the prehistory of the Commonwealth. As the situation develops we’ll keep you informed. The Washington Boro area has been a major Native American habitation site since Paleoindian times over 11,000 years ago. 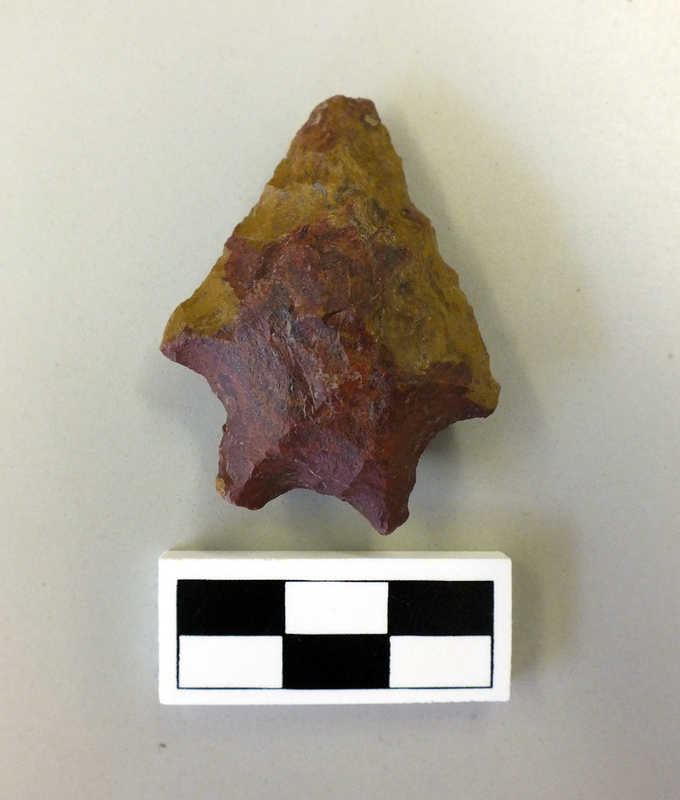 Artifacts from every time period in Pennsylvania prehistory have been found here, frequently in large numbers, representing substantial occupations. There are few other places like this in the Commonwealth. For example, it represents a major center of Paleoindian activity with five sites recorded within a half mile of the Boro. This level of activity continues up through the Contact period when there are at least three major Susquehannock villages covering a span of approximately 100 years between 1550 and 1650 AD. These contained between 1000 and 3000 men, women and children. During the Contact period, this represents the highest density of Native Americans in the Commonwealth. The villages are protected by double and triple wooden stockades and contain up to 80 long houses. John Smith sent military advisors to help the Susquehannocks in their ongoing war with the Seneca in New York. 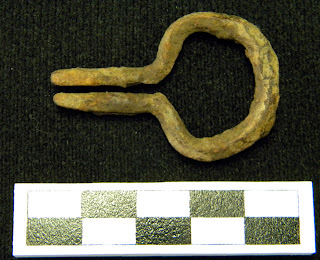 The latest village, the Strickler site, was partially excavated by the State Museum of Pennsylvania and European style bastions were discovered, documenting the English influence. All of the villages contain huge quantities of artifacts and food remains documenting the lives of these people. Surrounding, each village are several cemeteries, probably representing individual clan burial plots. 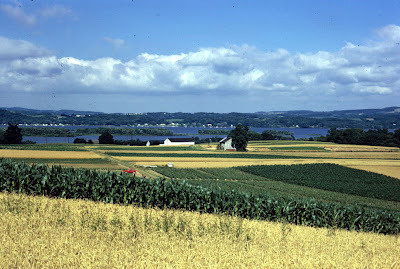 Clearly, the well known high fertility soils for agriculture were an important attraction for the Susquehannocks but also this location placed them in close proximity to the English trade in the Chesapeake and the Dutch trade in the lower Delaware. Prehistorically, the high fertility soils produced a bountiful forest full of oak, hickory, chestnut and butternuts, all of which attracted a wide variety of mammals and birds. Add to this the food resources from the Susquehanna River such as mussels, water fowl and anadromous fish such as shad and this represents a near perfect setting for prehistoric populations adapting to the temperate forest. 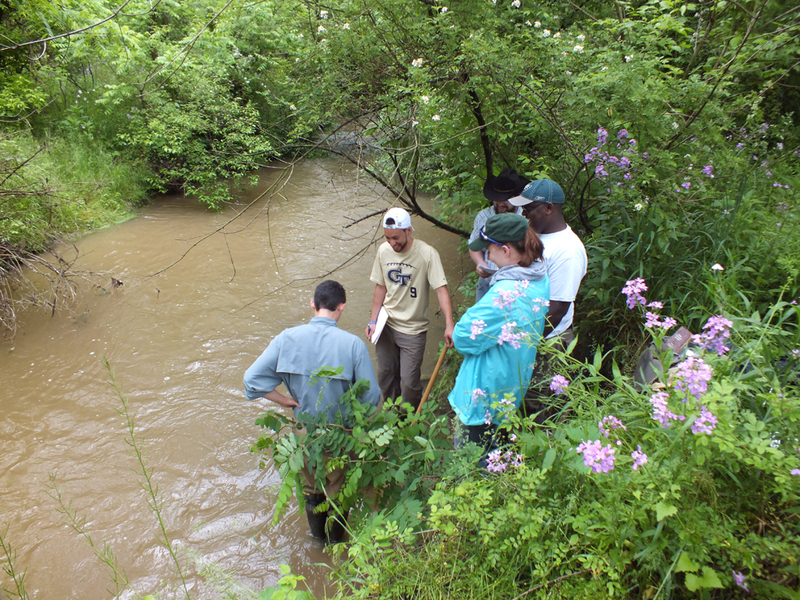 The significance of the Washington Boro area is that 11,000 years of Native American history and the evolution of cultural adaptations can be studied in one location. The focus of research so far has been on the Late Woodland and Contact period villages. These have documented the evolution of Native American society as it struggled to adapt to the European intrusion but eventually failed. There is still much more to be learned from these sites however. There are numerous earlier camps, farmsteads and villages that can contribute to our understanding of how migratory foraging populations organized into simple band society, adopted domesticated plants and settled into the largest population centers in the region and were organized into tribal societies. We hope that you are concerned about the preservation of these important archaeological sites, and would like to support this preservation effort. For additional information please visit the Living Landscape Observer's website. This week we travel to Dauphin County for a tour of some of its archaeological sites located on various stretches of the Susquehanna River. Dauphin County is located within the Susquehanna Lowland Section of the Ridge and Valley physiographic province. This region along the Susquehanna River is defined by narrow, small, steep-sided stream valleys making it susceptible to flooding. The forested areas present today consist of white and red oak, sugar maple, ash, beech and walnut, which have provided resources for both humans and animals during the prehistoric period. 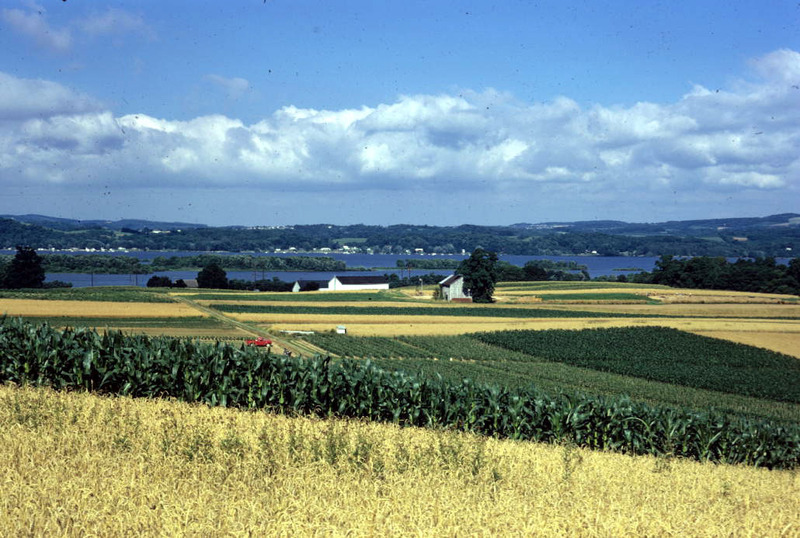 Archaeologists have been able to research the pollens found in soils along the Susquehanna River in deeply buried soil horizons, providing us with a better understanding of the paleoenvironment. We begin our tour at Clemson Island site (36Da1) located across the river from Halifax, where the Clemson Island burial mound once existed on the island’s broad fertile floodplain. Unfortunately, the site is now gone, eradicated by repeated plowing and the construction of several water ponds that the Game Commission placed for the propagation and management of wildlife. In 1929, the Pennsylvania Historical Commission explored the mound or burial location of a small group of prehistoric people who lived more than a thousand years ago. Jones unearthed the remains of as many as 19 individuals buried at various locations within the earth and rock filled mound. The remains were generally poorly preserved but enough remained of them to form a pattern of burial. At the base of, and immediately beneath the mound, abundant charcoal, animal bones, pottery and flint debris remaining from making stone tools were associated with some of the burials. Four burial types were noted and classified according to the position and arrangement of each bone. These included single disarticulated skeletons, multiple articulated skeletons, cremations and semi-flexed articulated skeletons. Description was often hindered by the co-mingled nature of interment where some of the skeletons appeared to be laying on top of others. Cobbles and stone slabs found interspersed among the remains were likely used as covers to protect some of the dead whereas others were simply placed in isolated locations inside the mound. 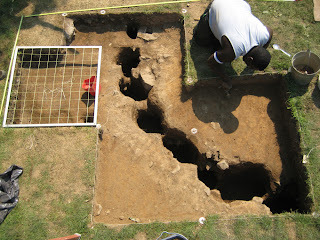 Few diagnostic artifacts were found in and around the base of the mound. 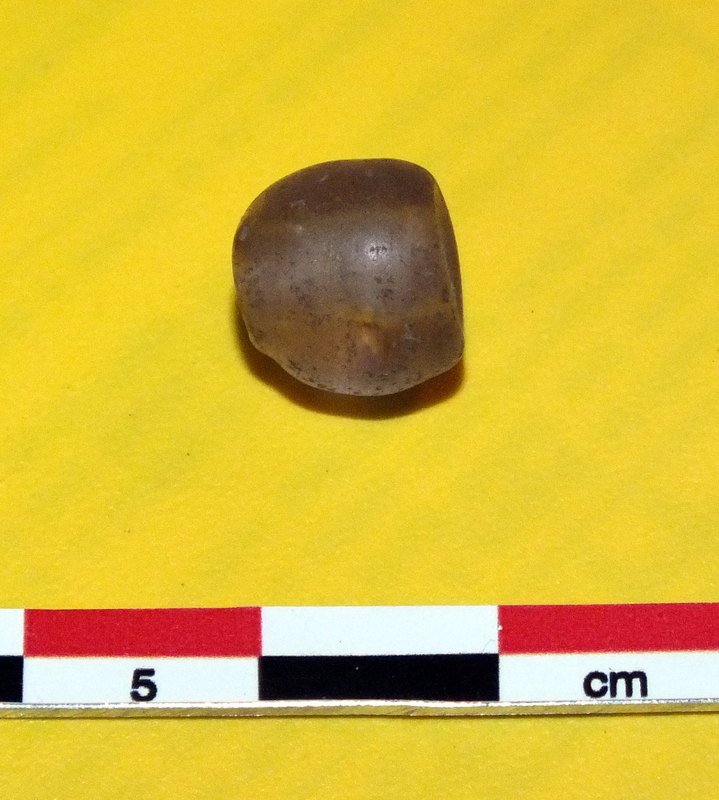 The stone artifacts included four arrowpoints made from rhyolite and local chert, a notched net-sinker and a pitted hammerstone. 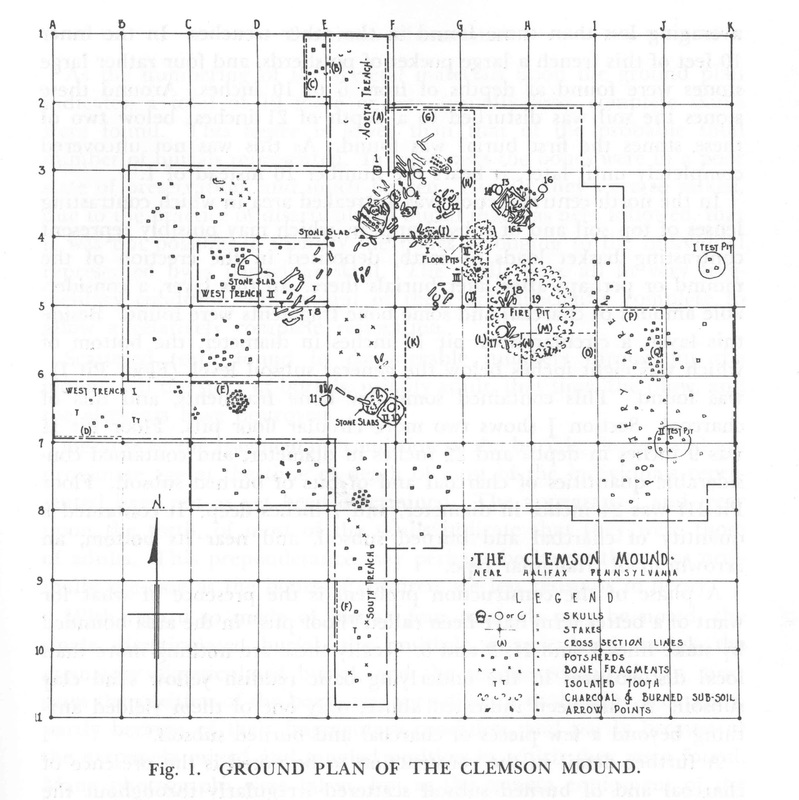 Pottery was of the Clemson Island punctuate and non-punctate varieties that is ascribed to the early Late Woodland period (AD.900-1100). 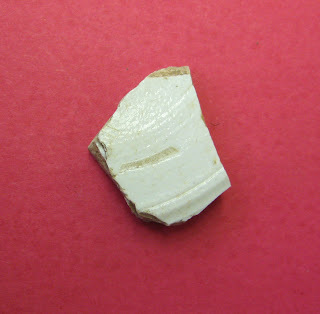 These pottery types are most common in the West Branch of the Susquehanna and Juniata River valleys of central Pennsylvania. Moving on down the river, our next stop is a visit to City Island, home of the Harrisburg Senators Baseball Team. From 1994 to 2000 the island was an archaeological attraction annually during the months of September and October. The public and professionals visited and participated in the Pennsylvania Historical and Museum Commission’s annual archaeology program on City Island. Our activities focused on an area of the parking lot on the north side of City Island (site 36Da12). Two excavations were opened in the general area where previous cultural resource studies identified a series of buried soil horizons containing living surfaces of Late Archaic and Transitional Period age. 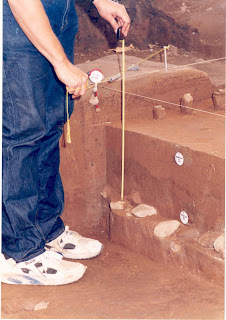 These prehistoric living surfaces were re-identified during the 1994-2000 excavations and served to extend the site boundaries, horizontally as well as, vertically. 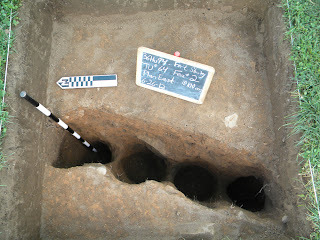 The Late Archaic and Transitional living surfaces contained hearths and cobble features indicative of seasonal habitation. 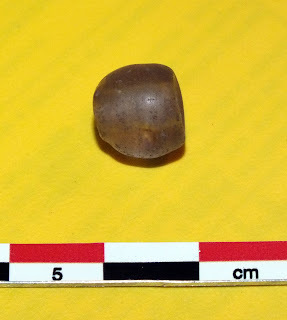 Some of the hearths and cobbled bake ovens yielded remains of nut hulls and charcoal and an occasional diagnostic projectile point or knife blade. 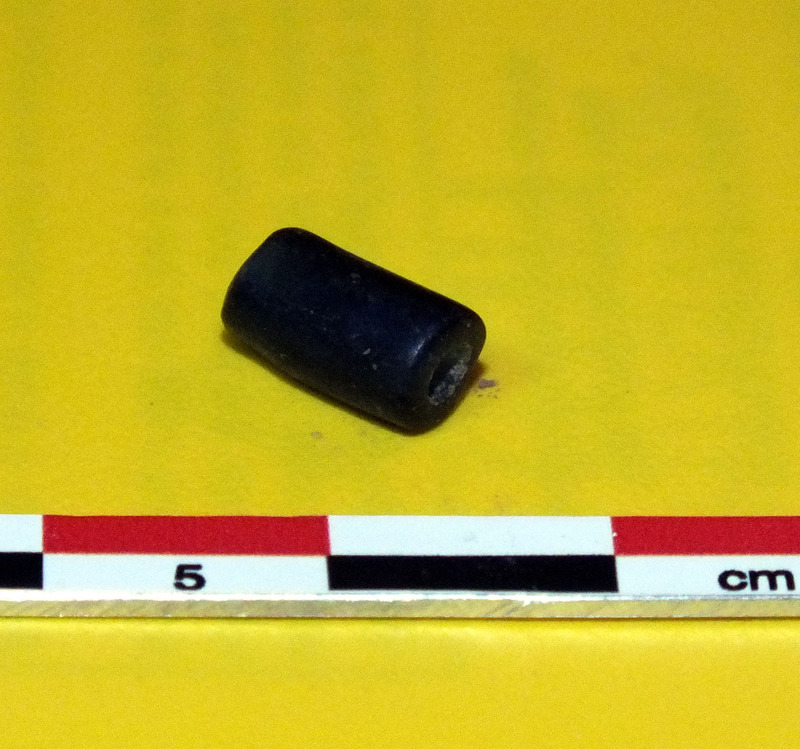 The dominant lithic material used by both prehistoric cultures was metarhyolite brought to the island from the quarries 30-40 miles distant. Going deeper, a thick deposit of sterile clay loam separated the Late Archaic and Transitional levels from a Middle Archaic period land surface identified by several 8000 year old radiocarbon dates and a diagnostic bifurcate projectile point made from a fine grained brown jasper whose probable source is the Hardyston Formation in the Berks, Lehigh and Bucks county region of southeastern Pennsylvania. From City Island we travel a short distance down river where the Pennsylvania Turnpike crosses the Susquehanna River at Highspire, Pennsylvania. Structural pylons for the recently built bridge that now replaces an older outdated one were to be set on a section of the Calver Island site (36Da89) thereby impacting potentially important archaeological resources. Under contract with the Pennsylvania Turnpike Commission, archaeologists with KCI Technologies, Inc., opened several block excavations in the immediate area of potential effect (APE). Calver Island is a remarkable prehistoric site. As with City Island, it is a stratified site with prehistoric occupations present in multiple discrete buried soil horizons, the ages of which spans the period between 2600 and 5200 years before present. To date, Calver Island has the best intact stratigraphic record of Late to Middle Archaic period occupations in Dauphin County. Calver Island had features similar to those identified at City Island but many more were found there. Transitional period roasting hearths, cobble platforms and charcoal stained basin-shaped pits were among the feature types found there and these seem to have persisted at the site through time. The large compliment and variety of diagnostic projectile points and knives from Calver Island provides us with a glimpse of the lithic assemblage from these river island sites. Large wide-based bifaces are of the Koens Crispin, Savanna River and Susquehanna broadspear types of Hardyston quartzite, local hornfels and metarhyolite. These date to the Transitional period. 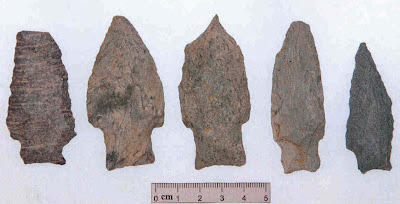 Narrower shaped points also of metarhyolite and hornfels and diabase are believed to be of Late Archaic and possibly Early Woodland age. 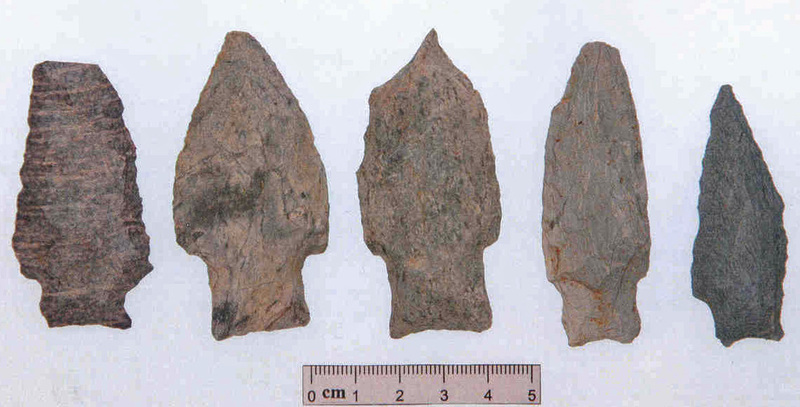 Interestingly, the broadspears and narrow stemmed points were frequently found in the same levels suggesting they were used by the same people, possibly for different functions. Some of these projectile point types appear to go along with atlatl weights and some of the early pottery at Calver Island. Although there were a few triangles of quartz and chert their association could not be determined stratigraphically since they came from Calver Island’s plowzone. 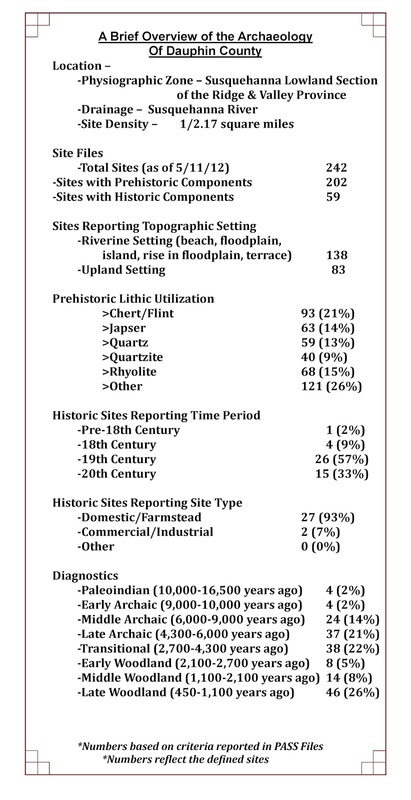 Foundations of Pennsylvania Prehistory, Harrisburg: Anthropological Series of the Pennsylvania Historical and Museum Commission, Number 1, 1971. Susquehanna River Bridge Replacement Project, Dauphin and York Counties, Pennsylvania. Phase I/II/III Archaeological Investigations at site 36Da89 on Calver Island,KCI Technologies, February 2007. This week as we celebrate our nation’s Independence Day, we take a break from our travel through the archaeology of the Commonwealth by county to focus on a time period important in the development of this Commonwealth. The archaeological focus this week will be on the French & Indian War or the Seven Years War. There are multiple events that led to the signing of the Declaration of Independence and the desire for the colonies to break away from the British Crown, the French & Indian War played a key role in that break from British rule. 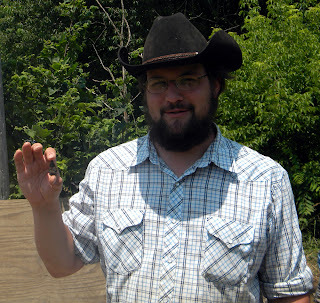 Our guest blogger this week is Dr. Jonathan Burns who has been conducting an archaeological field school for Penn State University on a provincial fort constructed during this significant period in American History. 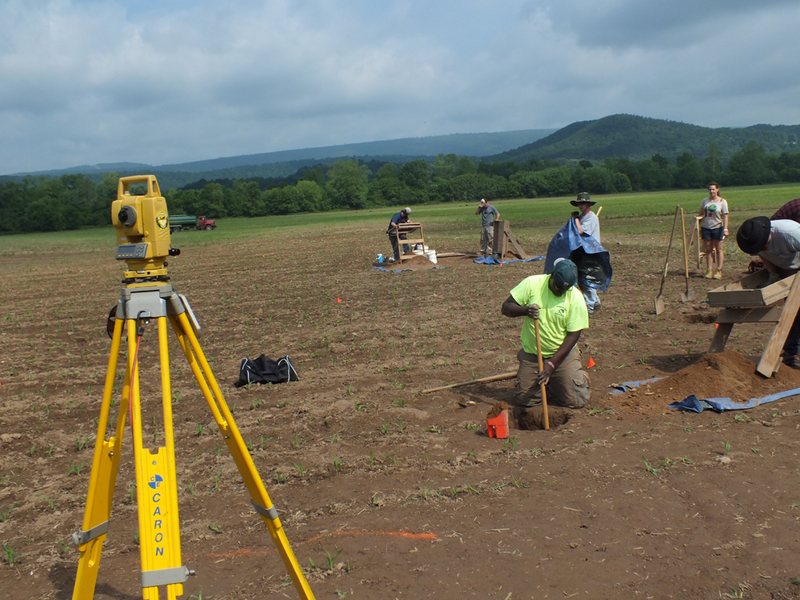 This year's excavations at the Fort Shirley Site in Huntingdon County, PA, were quite successful! The 2012 Penn State Field School team located the fort’s western palisade feature, defined the northwestern bastion, and began to identify and document a structure in the northeast corner of the stockade. Additionally, two weeks of testing at Aughwick Old Town has preliminarily confirmed the location of a portion of the 1754-1756 refugee camp of the pro-British Ohio Seneca (or Mingoes) that moved from the Forks of the Ohio to be close to George Croghan’s trading post after George Washington’s defeat at Fort Necessity. Coordinated with our survey, IUP graduate student, Ryan Spittler, collected geophysical data to compare with our findings. George Croghan was a particularly important figure in assisting Pennsylvania, Virginia, and the British Crown; but, his most crucial role was that of Indian negotiator, providing gifts to the various Ohio tribes in an effort to build trade and alliances. His presence resulted in a particular mix of ethnicities passing their time at Aughwick as the colonies prepared to wage a brutal conflict on rugged foreign soil. During the field school, university students are trained in the latest techniques of the discipline while assisting with the documentation of a truly unique cultural resource linked to the start of the Seven Year's War in North America. By 1752, European globalization had reached Pennsylvania and into the Ohio Country through the efforts of George Croghan. Trader, land speculator, and Indian negotiator, Croghan was the premier agent of the British colonies in claiming the Ohio Country. Business was booming for this business-minded Irishman until the British and the French frontier empires began to overlap. Croghan’s trading activity at the Miami village of Pickawillany threatened France’s claim to this strategic region. With a French price on his head, Croghan retreated eastward and established a post at Aughwick near well-known trading paths. In the wake of General Braddock’s defeat in 1755, he was ordered by the governor of Pennsylvania to oversee the construction of three forts as violent raids were carried out across the frontier. The first of these forts was built around Croghan’s trading post at Aughwick (to be named Fort Shirley in January of 1756), twenty miles to the south stood Fort Lyttelton and twenty miles to the north stood Fort Granville (at present-day Lewiston). Built by Croghan in October of 1755, Fort Shirley is a rare example of a provincial fort exhibiting a distinct Native American presence, a testament to the very special relationship between George Croghan and the Ohio Seneca. Tanaghrisson, also known as the “Half King”, died shortly after arriving at Aughwick, but his warriors and their families stayed close to be provisioned by the province by way of Croghan. From the artifacts recovered from the palisade trench, it is apparent that the Natives assisted with the construction of the stockade fort. When Croghan left Aughwick in the spring of 1756 for New York to be William Johnson’s Deputy Indian Agent, the Seneca began to disperse without the protection of the influential Irishman. 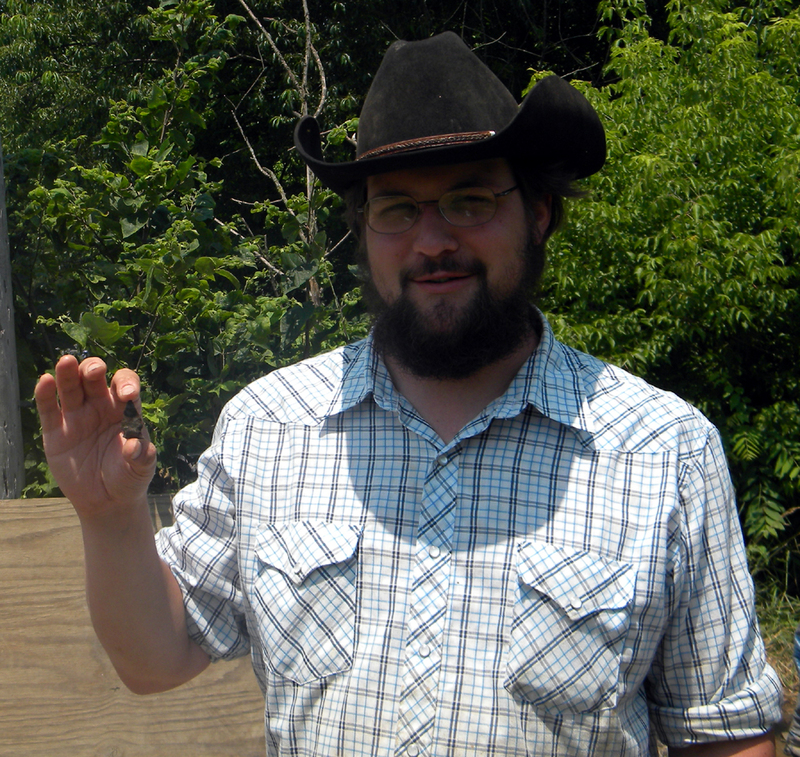 The following are informal images from the 2012 PSU Archaeology Field School and intended to highlight some of our finds.